After a day on AST business in Edinburgh yesterday, I decided to fish just one pool in the gathering dusk of a drizzly late evening. 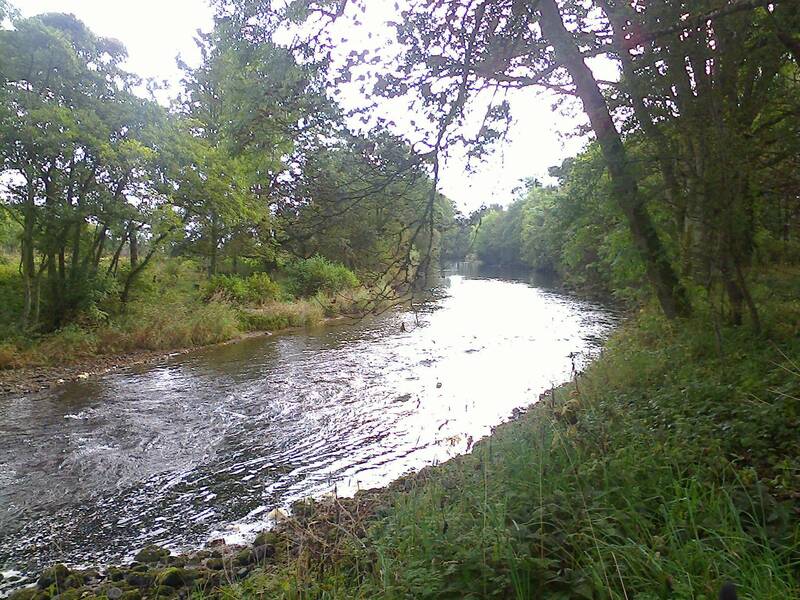 I chose the Red Brae, where the water level was lapping the top of the wall – a perfect height for catching a salmon. Getting to the Red Brae’s north bank from the suspension bridge is much easier, and less like bashing through the Sumatra jungle, after Iain’s work clearing a wide path. Combined with repairs to the suspension bridge access to the north bank is now fully restored. It is now an easy stroll along the bank …to fish the Red Brae itself, from the Lemno confluence at the height of water last night. I should also mention the emergency repairs carried out by William Wells and The Scottish Oak team on our flood damaged suspension bridge. It is as good as new, awaiting the next massive tree rolling down the river on top of a big spate! Thanks Will. A silvery and drizzly dusk. I was encouraged by the sight of a neat, split fresh, little grilse rolling it’s back and flicking its tail in the way only grilse do. That fish showed just where the current changes direction at the downstream end of the wall. And then I saw a salmon boil a bit further down in the deep part of the pool – the Dub. The water was slightly peat coloured and enticingly clear, so that I could see every cobble and ripple of sand on the bed of the river. I fished the pool down steadily, plopping the fly just short of the wall on a fast sinking leader with a size 8 Yellow Torrish double with reduced barbs. Below the wall I started lengthening line to get the fly swinging nicely across the widest part of the pool, led smoothly by bringing the rod tip across and parallel to my own bank while gently hand lining to keep up the speed and depth of the fly About ten yards down from the end of the wall, in a lovely swirly bit of water where the current starts gathering pace, I felt a long, firm draw. The rod tip bowed reverently and I tightened into a strong hen fish of about eight pounds, which after two determined runs, gradually came to the net after about ten minutes. She was a bit coloured and the hook came away in the net, so I was able to photograph her in the net and release her without touching the fish. Needless to say, she swam off strongly, with relief expressed in every movement of her fins as she slid away into the peaty depths of Red Brae. You might be thinking to yourself, “why is Tony telling this story of one very ordinary and not very fresh salmon?” A simple answer from me: it was all about the satisfaction of ending a long and tiring day on a note of perfection. As I walked back in the deepening dusk, with a fine drizzle keeping the trees shiny and dripping, I was reminded of why I go fishing, and of those elemental emotions the hunter in me evokes! Today we caught and returned two grilse and three salmon, all of which were fresh from the sea. After last night’s better-than-expected news about the South Esk there is a spring in our step and renewed hope for the river. 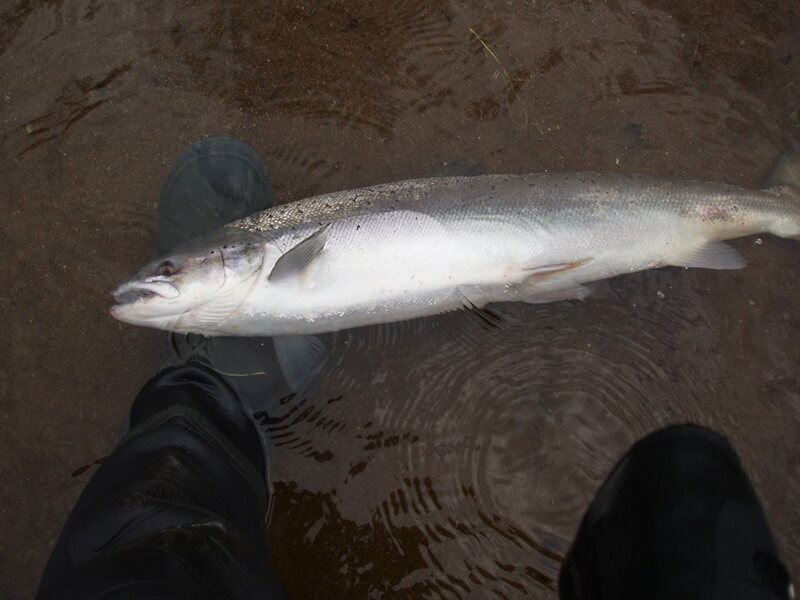 Two pristine, bright silver 12lbs salmon are the pictures that make a thousand words (photos coming soon). The river hasn’t fully recovered from last weekend’s mighty spate. The water is unusually cloudy which I suspect is coming from a major bank collapse somewhere upstream of Finavon. We are not seeing many fish, but there is undoubtedly a run going on. Let’s see what the next few days bring…. the meeting tonight was very informative and there was even a note of optimism. John Armstrong of Marine Scotland gave an excellent summary of research on South Esk spring salmon from which it may be inferred that stocks are not as weak as we all feared he would report. The information on the tracking project was of particular interest, especially in the success of identifying where spring salmon spawn and where their juveniles grow. 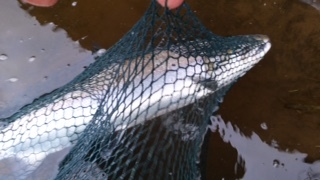 While there is no room for complacency, it seems that recruitment of spring salmon juveniles in the upper reaches of the South Esk is encouraging. Nearer the sea the tributaries in the coastal plain – the Lemno Burn, Noran Water and Pow Burn are presenting very different data sets on densities and condition of salmon parr, with the Lemno Burn a really serious cause for concern, while the Noran is showing high densities of parr in good condition. John Armstrong recognised that angling effort has declined since 2009, but that catches per Unit effort have remained remarkably consistent over the last decade. It would appear that the decline of salmon in the South Esk may derive from a number of different sources, including a reduction in fishing effort and serious problems of recruitment of fry in the lower catchment. The discussion with Marshall Halliday and Tom Sampson during the meeting was good natured to the extent that most of the concerns of anglers at the meeting were resolved. The decision of the government to institute a killing licence system for wild Atlantic salmon and to phase out all coastal netting throughout the country from 2016 provided a background to the meeting which could hardly have been better for a constructive discussion to follow. My personal view is that this meeting confirmed things that many people who know and love the South Esk have felt intuitively or observed for some time. The people who manage the river, or whose jobs depend on its revival as a reputable salmon river and a top sea trout fishery, should feel reassured by these developments. At last we have reason to smile and to make sure that these signs of optimism become substantial and sustainable. There is a lot of work to be done…. 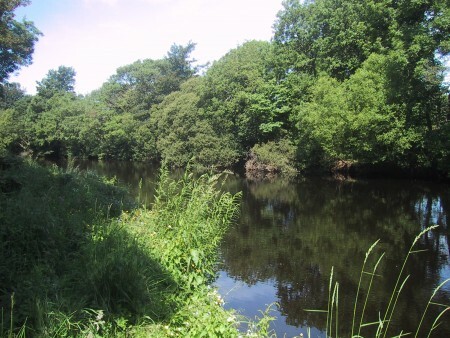 Tomorrow at 1830 at the Northern Hotel in Brechin there will be a meeting organised by the Esk District Fishery Board. 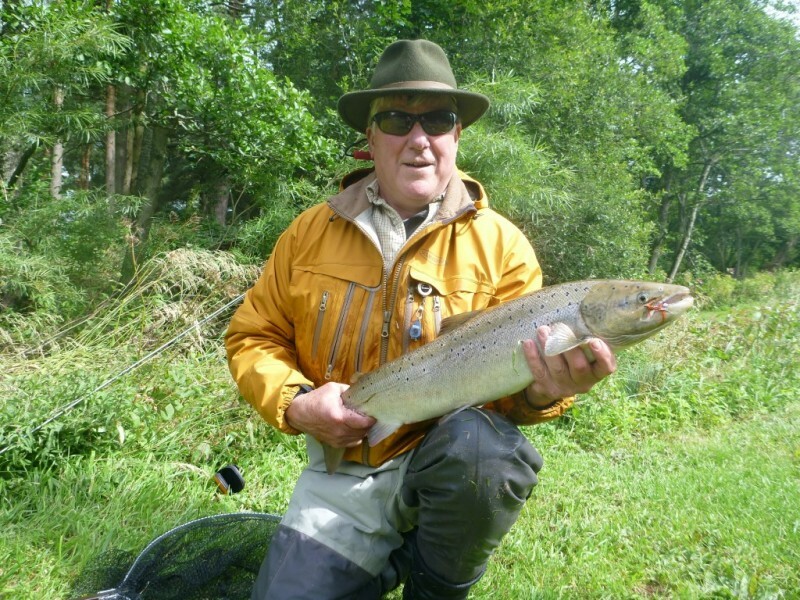 Among the speakers will be John Armstrong, who is the head of the Freshwater Fisheries laboratory at Pitlochry. It should be an interesting meeting which I hope will be well attended by an audience who come with open minds. STOCK ASSESSMENT The raw data on the condition of salmon stocks in the North Atlantic Ocean is provided by an international organisation called ICES (international Conference for Exploration of the Seas). ICES collates returns from all the wild salmon countries of the North Atlantic based on catches and some other indicators. The scientists and statisticians of ICES are all too aware of the limitations of using rod catch statistics as a primary tool on which to base management decisions, and they are currently looking at ways of improving their assessments. It is ICES that is telling us that numbers of salmon in the Ocean have declined from about ten million in the 1970s to under three million today. No-one is contesting that disastrous decline in abundance. Nor are any of the managers with whom I discuss such matters in the least bit complacent about the shortage of salmon in the South Esk. We recognise there are problems, as there are with other Scottish rivers, but we do need to improve our messaging and communications. The wild Atlantic Salmon’ survival at sea is the biggest challenge for scientists. 40 years ago about 25% of smolts returned as adults. Today it is far less than 10%. 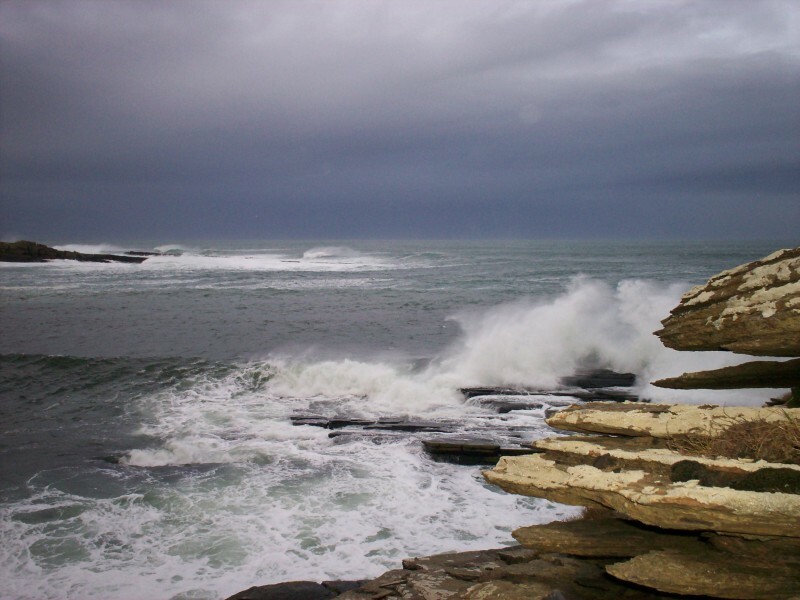 This is the Pentland Firth in the far north of Scotland. The Scottish Government uses the catch statistics tool to assess numbers of salmon spawners in each river. In the Esk District our fishery board applies the catch statistics tool religiously, and bases its management actions on the results, despite repeated claims by proprietors such as myself and anglers represented by their clubs, that restrictions on fishing methods, mandatory catch and release and a decline in angling effort are not being taken into account. I sometimes wonder if a nil return from a beat whose manager has decided not to fish at all would be treated by the board as an indication of stock decline. That has actually happened already with one well known middle beat. In other words a nil return means zero effort, no salmon caught. Logically, using the catches tool, without taking effort into consideration, means that the stock of the river will be described as having lower abundance. I believe we need to encourage the fishery board to develop a more sophisticated way of measuring the river’s stock. It should for example not be too difficult to devise a crude method of measuring effort based on rod days fished in each month of the season. That would at least be a start! Over time we can improve the way we measure angling effort and who knows? During that period we might even initiate an integrated stock assessment project using all the methods available to us, and not depend on one rather unreliable indicator on which to base our management decisions. Perhaps tomorrow’s meeting might include a discussion on options for improving stock assessment, after we have heard the report from Marine Scotland. Time passes quickly when you’re enjoying yourself, they say, and I certainly enjoy my outdoor life on the river. Time also seems to pass quickly when you observe the seasonal changes in nature. We are at the height of summer and the apex of growing season just now, the foxgloves are standing proudly alongside the melancholy thistles and campanulas. Within this seasonal label, however, there are observable changes almost daily. One notices how the shades of green on the trees deepens as they photosynthesise ever more quickly, and how the fruit on the grozet bush is suddenly ripe for picking even though the berries were hard and sour three days ago. This is the time of plenty, when our hunter gatherer forebears would have been collecting as much of nature’s larder as possible and drying or smoking it as a safety margin for the leaner time of year, which will be upon us before we know it. There is still yet a satisfying sense of ‘stocking up’ by picking fruit for jams and preserves and freezing trout. Salmon fishing has been less prolific, but this isn’t too surprising considering that there has been little fresh water (until now) and that the bulk of angling effort has naturally gone into nocturnal forays for our aforementioned sea trout shoals. Right now, I am listening to the rain smashing off of the window panes like buckshot as it has been all night long. We are sure to have a river in full spate by tea time tonight and there will certainly be fish arriving on the back of it. Whether they will pause long enough on their journey for us anglers to catch a few next week remains to be seen, but they will be coming into the river and that is the important point. Good luck to those fish who steam straight through the beats, un seen by anglers and scarce stopping until they reach the pool in which they decide to hole up until, full of amorous intent, they emerge once again. Noble beasts they are! 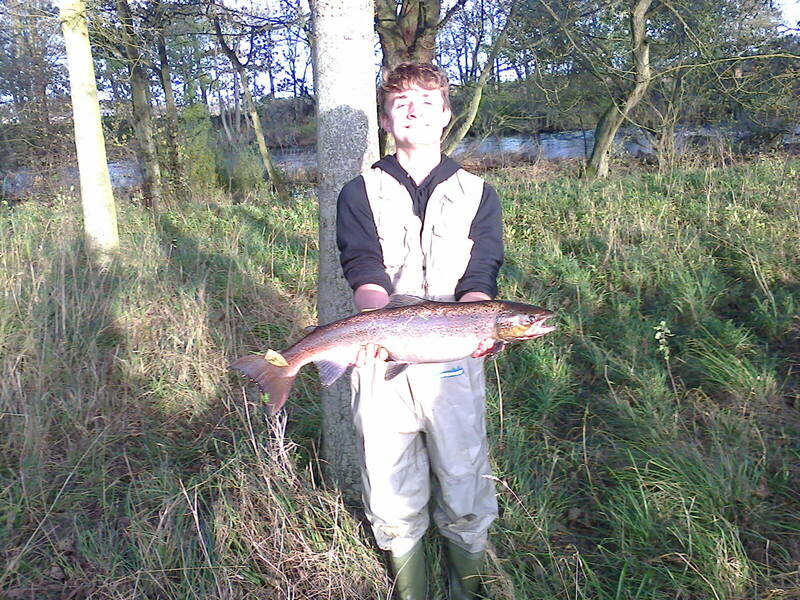 First salmon. A happy customer! By this time next month we will be beginning to think about early autumn fishing. The nights will be interminably drawing in, actually they already are! And most of the fruit will be just about gone, either into jam jars or back into the earth. Nature will be have dropped a gear and will be preparing to wind down. We, on the other hand, will be still going very much at full speed, trying to catch some of those lovely autumn salmon for which the South Esk is known. Let’s keep our fingers crossed for a good back end run!